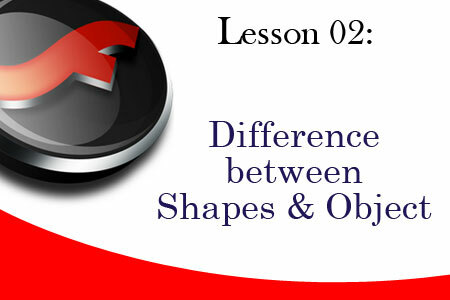 Hello Friends in this chapter we going to understand difference between Drawing and Shapes in Flash. Shapes: Shape is a very basic element in Flash which has two separate parts fill color and boundary. Shapes has problem to merge or intersect each other if they overlap. To avoid this we have to use layers. Drawing object: Drawing objects is a shape in which fill color and boundary are grouped together. Drawing objects has no merge and intersect problem when they overlap each other.